How long do I need to leave my cat for grooming? We aim to have your cat groomed as quickly as possible, however working with animals means this will not always go to plan. • allow for approximately 3 hours. • If you bring in 2 cats allow for 4 hours. Can I leave my cat with you all day? We like to have cats in the salon for the shortest time possible, however if you have to work or have other things to do while your cat is with us, we may be able to accommodate this. Please ensure you discuss this with us when you make your booking. Can I drop my cat off early for their appointment? How do I bring my cat to the salon? We require cats to be contained in a carry crate. Please have a crate for each cat you bring in as some cats can behave unexpectedly towards each other after a groom as they can look and smell different. 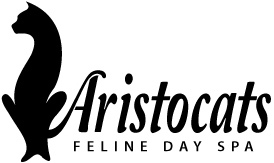 Every effort will be made to ensure your cat is groomed as safely as possible. Often cats behave much better when the owner is absent or they are not aware of their owner’s presence. If you decide to stay in the waiting area, please be discreet, do not allow your cat to see you or talk to it as this encourages them to move and wiggle which makes the groom take longer and can cause accidents to happen. My cat is aggressive, will you still groom them? We are happy to attempt a groom on any cat. We are unable to assess if we can groom them without meeting them first. We ask that you inform us if your cat has a history of being aggressive or biting/scratching so that we are prepared and can take precautions. We reserve the right to stop a groom at any stage where we feel there is danger to us or your cat. My cat is scared of being groomed, can you help? We have worked with many cats to help rehabilitate them to be able to tolerate and in a lot of cases even enjoy the grooming experience. This takes time and can require regular visits to help them become used to the grooming process and environment. My cat is aggressive, should I have them sedated for you? No. We do not groom any cat under sedation. We use a cat’s body language and signals to read them while they are being groomed. A sedated cat does not show normal signs and makes it hard for us to read them which can lead to reactions from your cat that are unexpected. A sedated cat is often aware of what is going on, but unable to respond how they like and it can cause them unnecessary trauma. My cat is not feeling well, should I still bring them in for their groom? Please call us if any health issues have arisen with your cat prior to their groom. We want your cat’s groom to be as successful and comfortable as possible. If they are not feeling 100% we may suggest that we reschedule your appointment to a later date.